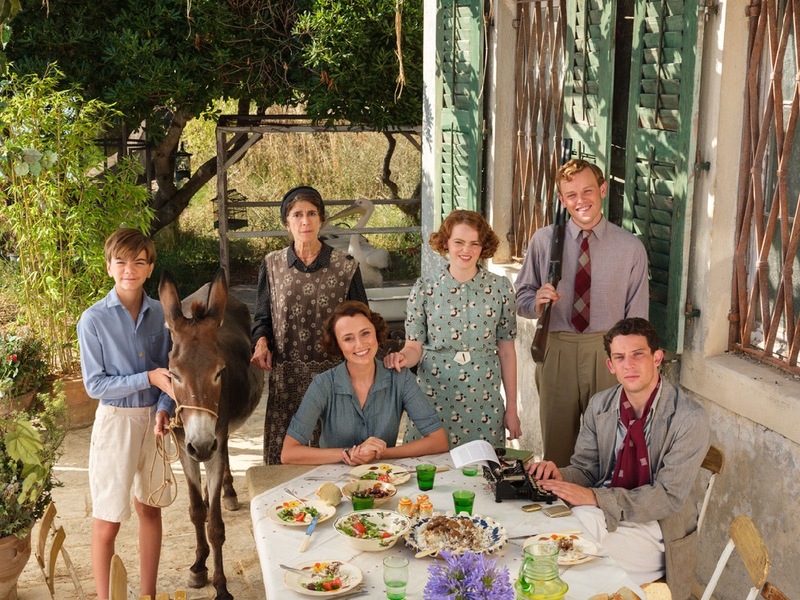 Keeley Hawes talking to me on location in Corfu during filming for new six-part drama series The Durrells (ITV, 8pm Sunday April 3). One of the most joyous productions I’ve ever had the privilege to write about. I read Simon Nye’s sharp, warm and wonderful scripts before flying to the Greek island last September. Having been a member of the Durrell Wildlife Preservation Trust for over 25 years and a regular visitor to their HQ in Jersey, this project already had a special place in my heart. Also being present at Gerald Durrell’s Memorial Celebration at London’s Natural History Museum in 1995. As the sun rose on our first full day of interviews on location, all the signs were that The Durrells was going to be truly magical. Watching filming and then talking to Keeley and the rest of the cast simply reinforced that belief. As did a trip to the house by the sea used as the exterior location for the family’s home on Corfu. Along with a meeting with one of the two pelicans who play another star of the show.